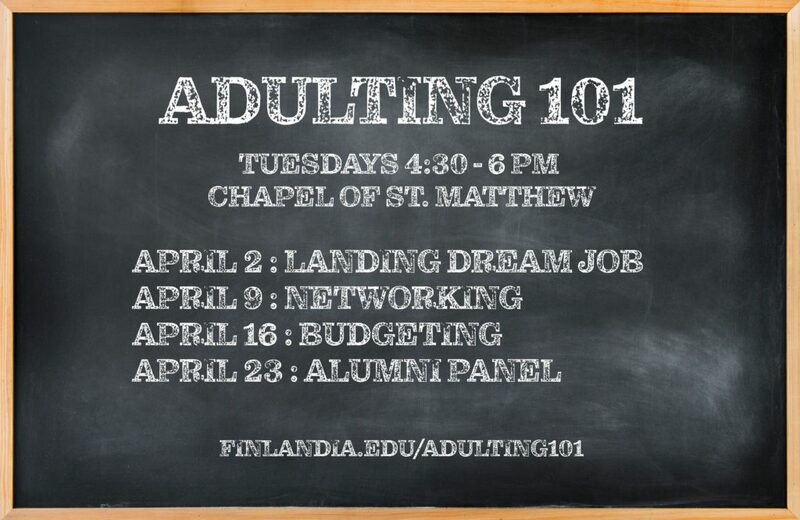 The third session of Adulting 101 will take place April 16 from 4:30 to 6 p.m. at the Chapel of St. Matthew. This session will host three speakers. Accounting professor Laura Sieders will discuss the importance of budgeting and how to be a smart investor. How to navigate student loans will be presented by Director of Student Financial Services Sandy Turnquist. Finally, Human Resource Manager Alyson DeLandsheer will explain work benefits and what they mean.